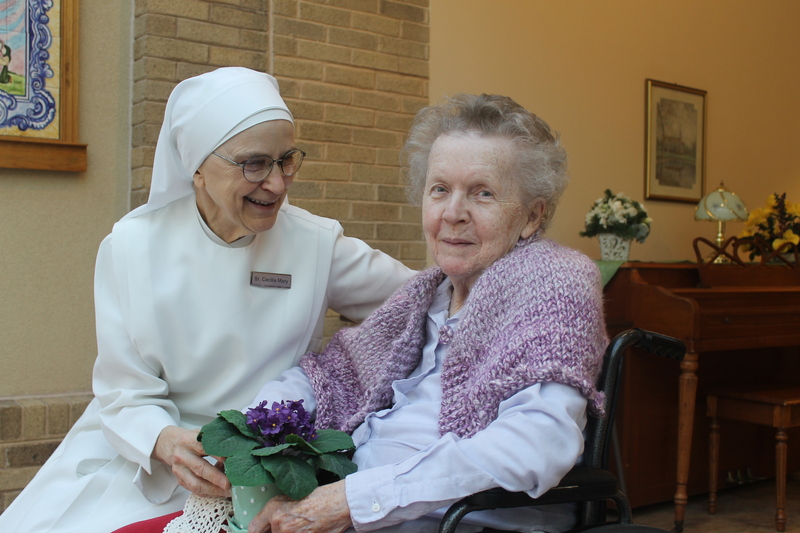 Admissions - Little Sisters of the Poor Baltimore - Visit today! This question / answer process helps identify if the applicant’s needs and personal goals would be met through the services provided by our home. If it is determined that the individual meets our criteria, the next step will be to schedule a visit. After the visit, final decisions are made. However, it is important when applying to our home to recognize that when we have an opening in one of our assisted living or nursing home rooms, we first look to our current residents to determine if anyone is in need of a higher level of assistance. If all of our residents are placed appropriately, we will then open the available room to the public. What happens if there are no rooms available when an applicant applies? If it is determined that the applicant meets our criteria, the applicant will be placed on our waiting list. If we are unable to meet the applicant’s needs, we will provide potential resources in the community that can be of service to the individual.